Place an order for $200 or more & we'll give you an additional 5% discount off our already low prices. It doesn't cost us any more to process and handle a multiple order so we can pass on the savings to you. 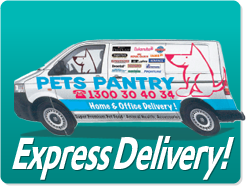 Breeders wanting to purchase in bulk please CALL us on 1300 30 40 34 for our breeder prices!